Integrity: Arts & Culture Association is a 501c3 non-profit arts organization made up of individuals with diverse experience and connections and with a deep interest in the artistic work of the organization. 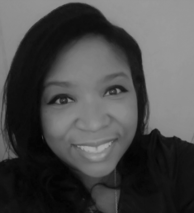 Kristina Brown is the Founding Executive Director of Integrity: Arts & Culture Association (IACA). She has has been active in the arts for over 30 years, both as a director and a multidisciplinary artist. It is Kristina's goal and IACA's mission to provide high quality artistic, inspirational and educational programming to audiences, and to provide arts advocacy through education, services, resources and funding. Kristina is dedicated to making a special effort to reach out to youth, especially the underserved. IACA provides them educational opportunities, grant funds, artistic field trips and an outlet for artistic creativity. Kristina would love to connect with you. Please feel free to contact her with questions, ideas or suggestions. Your feedback and involvement are most welcome. Click here to contact her. If you believe in our mission, please consider partnering with us. We encourage you to contact us if you are interested in getting involved with Integrity: Arts & Culture Association in any way. Integrity: Arts & Culture Association is a non-profit organization as defined in Section 501c3 of the Internal Revenue Code. Donations are tax-deductible to the full extent of the law.